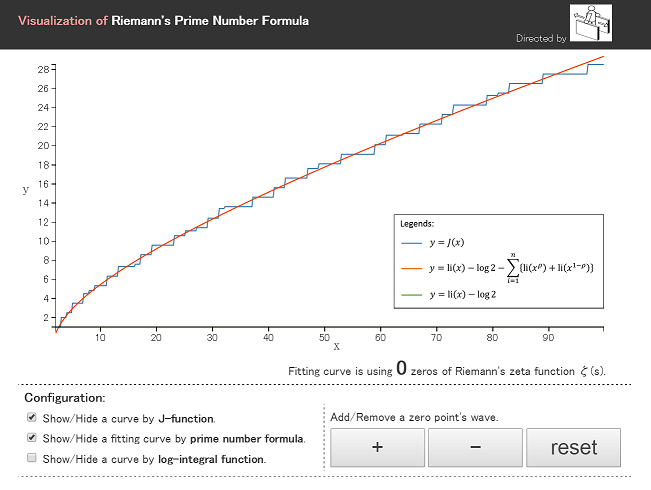 Visualization of Riemann's Prime Number Formula. Riesel, H. and Gohl, G. (1970), "Some Calculations Related to Riemann's Prime Number Formula", Mathematics of Computation, Vol. 24, No. 112, 969-983. Odlyzko, A., "Tables of zeros of the Riemann zeta function".